We flew WestJet to Mexico, nonstop from Vancouver to San Jose. 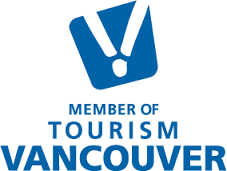 A few things to remember about WestJet, you can check in 24 hours prior to get your seat selection for free and if space is available (when traveling to Mexico) you can upgrade to the plus seats for $100.00 plus GST. The plus seats include a free bag so you will save on your baggage fee of $25.00 plus GST. It is an upgraded service with that includes free alcohol drinks and unlimited food. If you have pre-paid your seat fee in advance in the economy section it is non-refundable. If you bring your own device (iPad, computer, phone), you must downloaded the WestJet app to get the in-flight entertainment prior to boarding. If you do not have a device you can rent on on-board for $6.99, they do offer a good selection of movies, TV programs and satellite new channels. At the Airport we were met by an UnCruise representative and transferred to the Barcelo to meet up with all the other guests that had arrived earlier to get on the bus for the transfer to La Paz. When we arrived the welcoming committee from the ship took everyone’s pictures and told us they would put them in a book in the main lounge so that we could get to know our fellow passengers names. This was such a nice touch, we were lucky the ship was only half full so there were only 43 names, plus crew to remember. Our bags were tagged with our cabin numbers loaded on the bus and we were off to start our 1 week adventure. 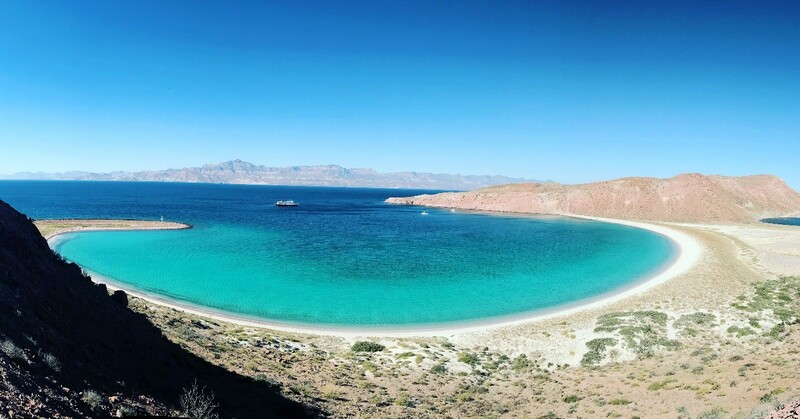 The Safari Endeavour is stationed in La Paz for the Baja Bounty departures. The bus was comfortable and the crew who met us had coolers full of beer, wine, soft drinks, water and lots of goodies to tide us over for the two hour transfer. When we arrived in La Paz we were met by the rest of the crew and boarded the ship. Our ship was called the Safari Endeavour, it holds 84 guests, 35 crew, 42 cabins and is 232 feet in length. There are four main decks on this ship. Deck 1 has the dining room, some staterooms, the library with books and DVD’s to borrow. Deck 2 includes the lounge, staterooms, bow viewing area and the massage rooms. Deck 3 is outfitted with the hot tubs and more staterooms, and finally deck 4 has the bridge, sun lounge and outdoor gym. We went straight to our cabin to check it out and were pleasantly surprised with how cute and clean it was. We were on deck 3 so our door opened onto the outer deck, we had two large picture windows for a lot of light, a desk and a TV with a DVD player. Our cabin had a good sized bathroom with a stand-up shower. The back wall of the cabin was storage with closets and drawers for all of our stuff, the bed were designed so that you could stow our luggage and shoes out of the way. After we unpacked we met in the main lounge for a Captains cocktails reception on deck 2. This was a chance to meet our fellow cruisers and the crew. We were also introduced to the special guest yoga and fitness instructors that were on this departure with us, they had classes planned throughout the cruise and they also offered talks on diet and exercise. 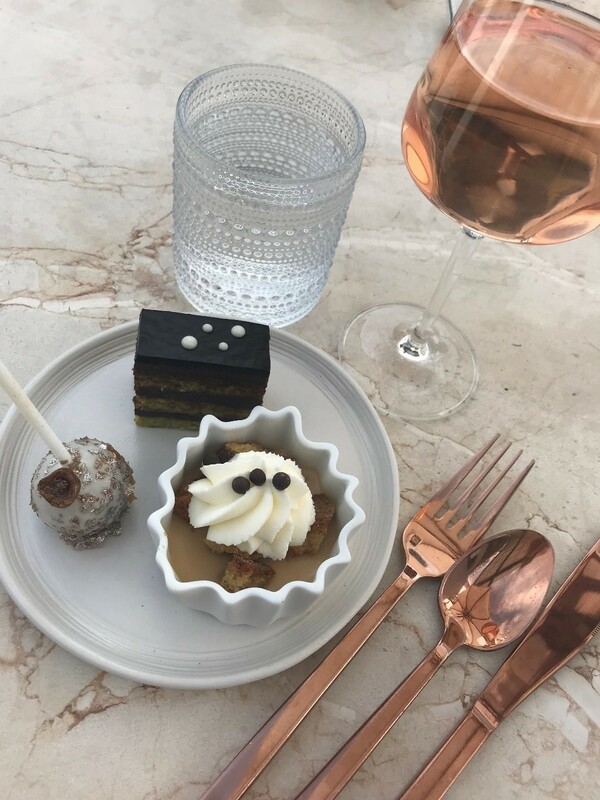 The Captain went over a loose itinerary and let us known that every evening before dinner we would meet in the main lounge for happy hour from 5:30pm-6:30pm to go over the next day’s itinerary and sign up for whatever adventures you wished to participate in. The next morning you would check the board to see what your departure time was for your particular choices. They usually had a morning activity and an afternoon activity. The bar was well stocked with pretty much anything you could think of. Lea the bartender knew how to make an impressive variety of cocktails. UnCruise stocks their ships in Seattle with a fantastic wine selection, these wines are included in your price and would make most people who love wine very happy. They also offer a Captain’s list of fine wines and champagne at amazing prices. Once the Captain greeted and introduced us to the crew we headed down to dinner. On board at dinner they have three options: meat/poultry, fish and a vegetarian option. Lunch consisted of two options: fish/protein and a vegetarian option plus dessert. They also let you know if you had dietary restrictions the kitchen would be happy to accommodate you. My friend was sick for the first three days and the chef made her a different soup every day. If you wanted a protein and salad for lunch or dinner that was always an option as well. Most meals started with an appetizer, main and the pastry chef had some delicious creations for dessert. She also put of a different fresh baked cookie every afternoon at 3 pm. The food was healthy and plentiful. Once we sat to dinner we set off for our first destination, a quick look to the left out the windows and we had a pod of dolphins leading the way. I have never seen such a large pod, it was amazing. After dinner we went to the lounge to meet some of our fellow passengers. When the Captain or crew spot any sea life they alert the guests so we can see as well. At one point we were informed that the ship was heading into a large patch of bio luminescence on the port side, and when we got there to see it, there was a pod of dolphins jumping through it… absolutely the best way to start our adventure. Every morning they set out a continental breakfast at 6:30 am for the early risers in the main lounge, yogurt, fruit, granola, and a couple of different baked goods. The bar has an espresso machine and they can make you whatever you prefer. At 7:00 am they have yoga on the top deck and at 7:30 am you can go to the main dining room for a plated breakfast. They have two options in the morning and if you don’t like what they are offering the kitchen can adjust to your likings. We started every morning in one of the two hot tubs located at the back of deck 3 with a latte watching the sunrise. After breakfast we were fitted for our wet suits, flipper, mask and snorkels for the cruise, ready to take the tender boats to Playa Ayla a beautiful deserted bay with a white sandy beach and crystal clear waters. Today’s agenda was Snorkel 101 and a beach party. This was our first chance to get into the water and experience the amazing sea life. I certainly understand why Jacques Cousteau called the Sea of Cortez the world’s aquarium. We were transferred to the beach in the morning, back to the ship for lunch and then back to the beach for the afternoon beach party. After our day on the beach we headed back to the ship to get ready for happy hour to find out what our next day’s adventures would be. After selecting what we would like to do the next day, we headed down to dinner, then up to the lounge for information about the area we are going to the next day. After a long active day we are off to bed early and the ship is set to sail at 11:00 pm. So far the waters have been really calm and the weather is hot and sunny around 26-29 degrees in the day, it does get cool at night mid-teens 16-18 degrees. 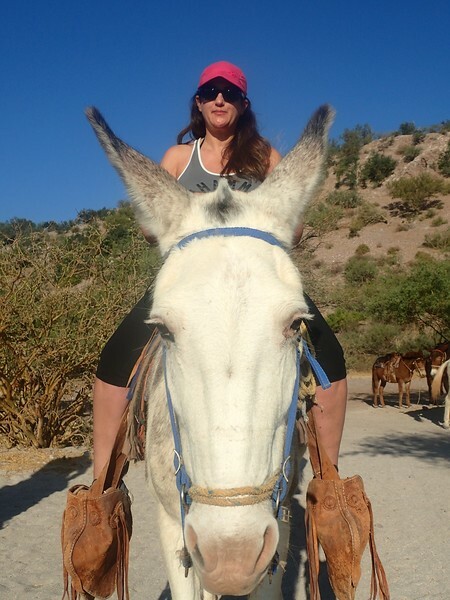 At 8:30 am I prepared to go on the tender for a burro ride through the mountains to a beautiful beach and back, a round-trip of roughly two hours. The ride was amazing and the views were stunning. The family that offers this excursion brings the burros from miles away to meet the ship. It takes them around 24 hours in travel time to get to the bay. They have been doing this for many years and match the burros up to the riders based on your riding experience. My burro was named Pepe. After the burro ride we were transferred back to the ship and they announced that they were opening up the back deck for anyone who wanted to go for a swim before lunch due to the calm waters. This is a treat as they are hardly ever able to do this and because we are experiencing such good weather the Captain has allowed it. After lunch we headed back to the bay for a power Sea Kayak tour around the bay and to experience the bird life in the area including Blue Footed Boobies! After our three hour kayak adventure, we headed back to the boat with an option to swim again… but I chose the hot tub. Cocktail hour, and we find out where we are going and what we are doing the day. Dinner, bed and we set sail at 11:00 pm again to smooth seas. This was a beautiful day exploring a deserted beach doing an exploration walk for about two hours. We then headed back to the ship to set sail see what sea life could be found. We spotted a Fin Whale in the afternoon that measured about 80 feet long! What a treat and an utterly spectacular sight! This was the first that they had seen, according the Captain and crew. Happy Hour and we find out that we will be heading to Magdalena Bay tomorrow to see the Gray Whales and their babies!! What an exciting day as we headed in vans from Marina Puerto Escondido to Magdalena Bay to see the Gray Whales and their calves!! After breakfast we got into vans for our two hour drive through the mountains and across land to arrive in Magdalena Bay. This was a beautiful journey through Grand Canyon type landscapes. We make a quick stop halfway to get out and stretch and use the facilities. Once we arrived in Magdalena Bay we got our life jackets and headed to the 12 seater boats that took us out in search of Gray Whales. It doesn’t take long before we spotted a momma and her calf, stopped the boat and waited to see where they would pop up. Lucky for us it was all around out boats. Two hours literally flew by as we followed the whales up the protected inlet, mesmerized by the beauty and grace of these majestic creatures. We headed back to the vans and were transferred to a local restaurant for lunch before heading back to the ship. We were treated to local cuisine of fresh caught fish, shrimp and lobster along with green salad, potato salad and rice. Once everyone was full we headed back into the vans and 90 minutes later we were back at the ship. Because we arrived early and didn’t have to leave until 6:00pm, they arranged a bit of a stretch on the dock and a run or a walk for the guests. This Marina had a coast guard station and has been developed with roads, lights and a fancy marina for a future resort area. The protected bay had a lot of sailboats, catamarans, and yachts moored there. On this morning, we woke up in one of the most beautiful bays I have ever witnessed. Today’s activity was a ridge hike and to see the salt fields. After arriving on a beautiful beach we headed up over a sand dune to be at sea level again. In the middle of this land were huge shallow holes that the fishermen had dug to collect the salt from the sea. Back in the day when they couldn’t afford refrigeration for their boats they used the salt to keep their catch moist for at least an extra 24 hours. On the hike we were on a path about two feet wide with crazy views of both sides of the islands. In the distance we saw whales breaching and are in awe. Once we got down from the hike we headed back to the boat to get underway for our last stop and adventure, the sea lion colony. This was our final day and our final stop before heading back to La Paz. It was finally sea lion day! 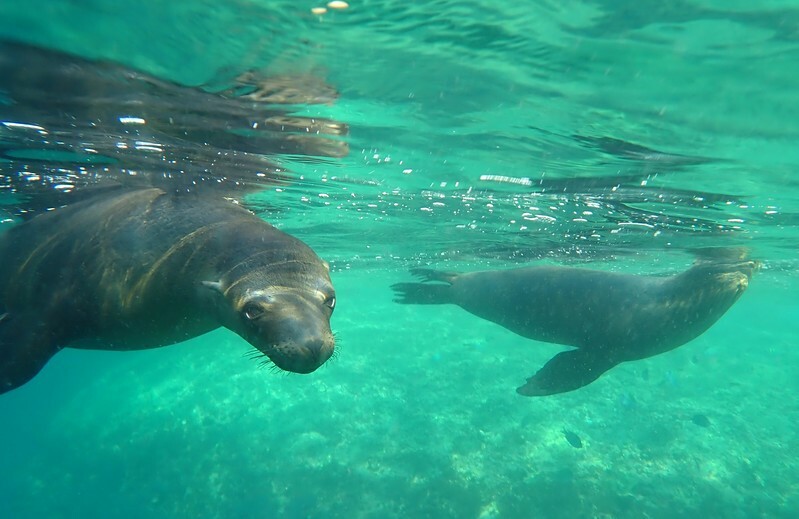 We had the option of either snorkelling with the sea lions, or taking a tender around the island they habitate to see such things as the nursery where the momma sea lions are nursing their babies. My friend did the snorkel and I did the tender. This was truly magical either way. My friend was able to have an up close and personal experience with baby sea lions crawling all over her in the water and I was able to have them show off around the boats with the curiosity of puppies. Most pups were between a week to a month old and super-playful. They followed the tender as we drifted around the island. We noticed that a few would jump aboard the smaller tenders from the sailing boats, as quick as they were on board they were off again. There are plenty of fish in the area so they are very happy and healthy. Occasionally you would see two males getting aggressive with each other, but for the most part they were calm and happy. The babies are born at about 50 pounds, females weigh around 200 pounds and the males can get up to around 800 pounds!! After our amazing sea lions adventures, we headed back to the boat for lunch and set sail for Ensenada Grande for our final beach party and snorkel. While we ate lunch, the crew set up the beach with the bar, tents, blankets, kayaks, paddle boards and then we tendered off the boat to enjoy yet another amazing bay. After lunch it was our time for our massages. Everyone gets a 30 minute massage as part of the wellness program on UnCruise, what a welcome delight. The massage rooms were really nice and the massages were amazing. After our relaxing massages we went to the beach to enjoy our last day snorkeling, paddle boarding, kayaking and lazing on the beach in the sun drinking cold beers and eating fresh backed chocolate chip cookies. Back to the ship before our final happy hour, we found out about what was going to happen the next morning upon arrival in La Paz with regards to disembarking. Final dinner was the Captains dinner with steak and lobster, and one last night to enjoy conversations with new friends. After dinner we all headed up to the lounge to see the slide show that the crew put together with all the pictures they were taking of us on the cruise. This was a truly amazing night and so much fun to see the shots they captured – the majority seemingly without anyone knowing. As a final touch, they send you a copy of the slide show as part of their amazing hospitality. Upon arrival in La Paz, it was time to say goodbye to everyone and get transferred back to the airport after an amazing week! Some people would be leaving but we would be getting our car for a three night stay in Cabo San Lucas. This is always an adventure, when booking a car rental make sure that you have verified what is covered with the plan you have and if your credit card company covers in Mexico if you are not taking a plan. They will hard sell you to buy their insurance, just stay strong and you will get through the process. They will also include a full tank of gas in the rental, with my experience it is best to pre-pay the gas, so as not to deal with the gas stations. They do overcharge regularly and you might just end up paying more than the tank is worth. At ALL car rental agencies you will be approached by time share people who want to give you something for free for a hour of your time, remember when you Dad said nothing is for free, it’s totally true in this case. Fairfield Inn by Marriott – We chose to stay at this hotel because it was a great rate and we were within walking distance to everything including Medano Beach and the Marina. The Fairfield had nothing Mexican about it. The rooms were large and clean with comfortable beds. The rate included a full breakfast in the morning and they seemed to have non-stop margaritas at the check in desk. The pool, was small and clean with chairs and lounge chairs for the guests to use. We spent a lot of our time at SUR Beach House on Medano Beach, they have chair rentals, a swimming area for their guests and a nice outdoor shower to rise off. To use this area you have to have a minimum spend of $35 US (this is easy as they have a great bar and food menu). We went to this hotel for brunch, the MOST expensive brunch I have ever been to, around $100 Canadian per person. This does include all your food and drinks, alcohol and non-alcohol, lattes, fresh squeezed juices, Rose, Bloody Mary’s, fresh oysters, jumbo shrimp, fresh tamales, salad bar, dessert bar, hot food bar etc… highly worth a visit. The resort has the most beautiful rooms starting at $650 USD per night off season. The pool is stunning and the resort is not all inclusive. Overall this was a fantastic trip that I would highly recommend.